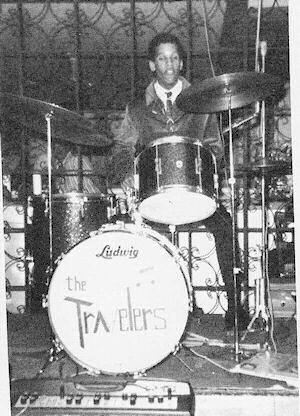 The Travelers was a band composed of Commonwealth High Schol students Jose (Sony) Maso, Jose (Butch) Maso, Rick Gagnon, and John Zinsmeyer. 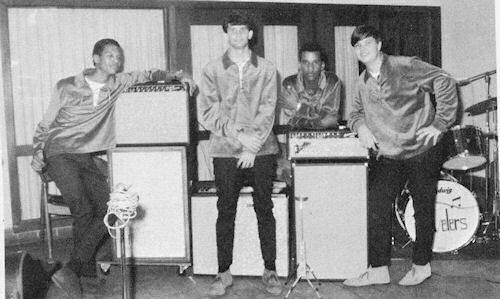 The band was formed around 1964 or 65 and it probably broke up around 1967 when most of the group graduated. Sony was the lead guitar, Butch was the drummer, Rick the second guitar and John the bass. They perfomed in a number of dances in the Condado area of PR and in different places. Sergio Zeligman, who sent this write-up was their manager at the time and helped them out to set up at places and organize their things. They used to practice either at John's place in Condado or at his dad's factory. They played a lot of Rolling Stones songs, at that time most groups sang more Beatle songs than anything else. The group liked more Rhythm and Blues music, so it was a little different than The Challengers or The Wanderers at that time.